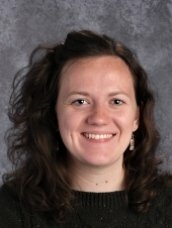 I am an 8th grade homeroom teacher and also teach 8th grade reading, language arts, religion, and vocabulary; 6th and 7th grade language arts. Last year I taught middle school language arts, religion, and social studies at Sacred Heart School in Lombard. Before that I earned my undergraduate degree in English at the University of Notre Dame. I received my teaching certification through St. Mary’s College. I have lived in this diocese all my life and received a wonderful education from St. Joan of Arc in Lisle, where I am still a parishioner, and Naperville North High school. When I am not teaching, I enjoy reading, playing piano, and singing at my parish as a cantor. I feel very blessed to teach at a Catholic School.